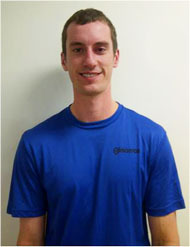 Jory has a passion for sports and has enjoyed playing hockey, baseball, soccer, badminton and football at elite levels. Jory is currently a linesman in the Western Hockey League and devotes a lot of his free time training to improving his on-ice performance. Jory has a lot of experience and knowledge with sport specific training through his experience as an athlete, as a hockey official and through his studies at the University of Alberta. He believes that fitness should be an essential part of everyone's life. Jory welcomes people of all different fitness levels and backgrounds. "If you don't think you can, don't think just do."